This summer was a great one for my own professional learning and development, I got to do several things that I wanted to do. I can't wait to share them with you. I have included my affiliate links so the resources I share are easy to find. The first thing I did was read The Book Whisperer: Awakening the Inner Reader in Every Child by Donalyn Miller. I started it with a group of bloggers who were doing a book study. It is a FABULOUS book. It really made me think about how I teach reading in my classroom. 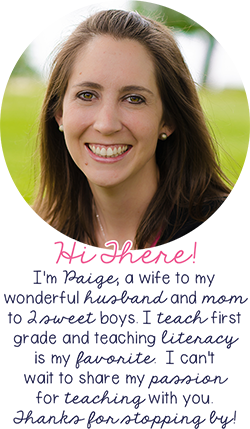 It is geared towards upper grades, but I got so much out of it, even as a first grade teacher. If you haven’t read it I would definitely put it on your short list-especially if you teach reading, double especially if you teach reading in the upper grades. After reading this book, I felt so inspired that I created a couple things to go along with it and brainstormed ideas for things I can do in my classroom this year. 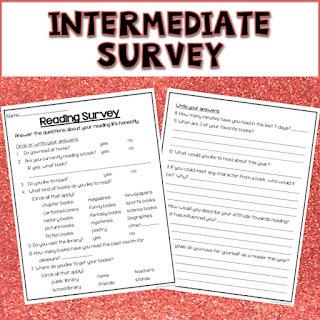 The reading surveys Donalyn provides are more geared towards middle school students so I searched for one more geared towards primary students and didn't really find what I was looking for so I created some of my own. 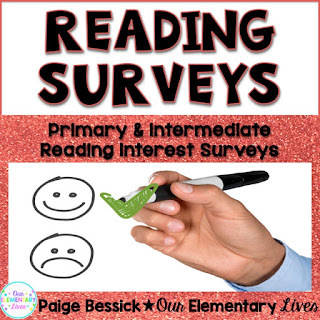 Reading surveys are an excellent way to get to know your students. After having my students and their parents complete these, I felt like I had a leg up on my students as readers. I could provide them with books of interest from the very start of the year. If I want to get my students excited about reading, one of the most important things I can do it give them books that interest them. It's all about giving them choice and providing them with things they actually like. 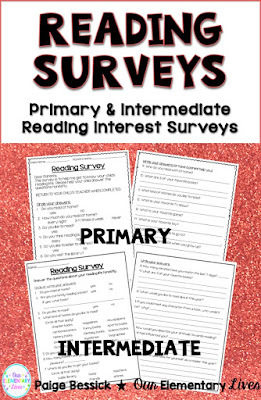 You can find the reading surveys by clicking here or on the image below. It's FREE for a limited time. Or you can pin it for later by clicking this image. Something else I did this summer that I would say gave me some great professional development was joined Periscope. Anyone else on it? Raise your hand if you’ve joined and are now ADDICTED like me?!?! Periscope is a live streaming video app. It allows you to connect, comment and show some love to people you follow. As the host of the video is sharing what they want to say, you can comment with other viewers and give hearts to show the host that you like what they are saying. Teachers have taken it by storm this summer and are taking it over! Seriously, there are so many wonderful teachers to follow with some really great things to share. If you don’t catch the video live you can replay the video for up to 24 hours. You cannot comment on the replay but you can give hearts so the host knows you’re enjoying what they are sharing. Our Elementary Lives is on periscope (@ourelemlives). We haven’t made the plunge to do a video yet, but maybe with the support of all of us together we will do a scope. Make sure to follow us to know if we ever make the leap and start scoping our own videos. We had some great ideas about sharing our monthly topics, we’ll see if we are brave enough to actually turn the camera around. The last summer PD I want to share with you is not something I got to do this year, but have gone TWICE before. It is the Teacher’s College Reading and Writing Project in NYC. I was lucky enough to go two times to the writing institute; once last summer and the first time 3 years ago. 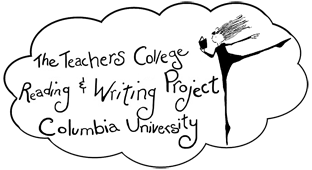 The TCRWP is a week long institution put on my Lucy Calkins and the Teacher’s College at Columbia University. There is a writing institute and a reading institute put on by the developers and authors of The Units of Study for reading and writing. Have you heard of Units of Study? Our district uses them for both for reading and writing and I LOVE them. I get to use the NEW Units of Study grade level books this year and I am PUMPED! These week long institutes give you everything you need to go back and implement the Units of Study. It is an intense week of learning and connecting and having fun in NYC but such an incredible experience. I hope to be able to go again sometime. So that’s what I’ve been up to for PD this summer. 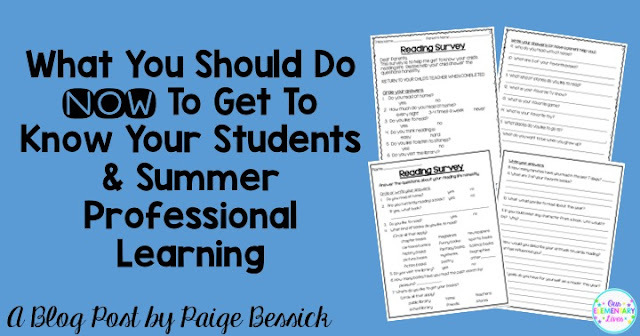 What do you do for professional learning and development in the summer? Tell us in the comments! We’d love hear about any books you’ve read, any workshops you like to go to or other teachers to follow on periscope. Also, tell us if you’ve ever been to NYC for the TCRWP.